This is a very ancient and traditional recipe of Rajasthan. It is said that the kings or men folk used to prepare this during their hunting expeditions. 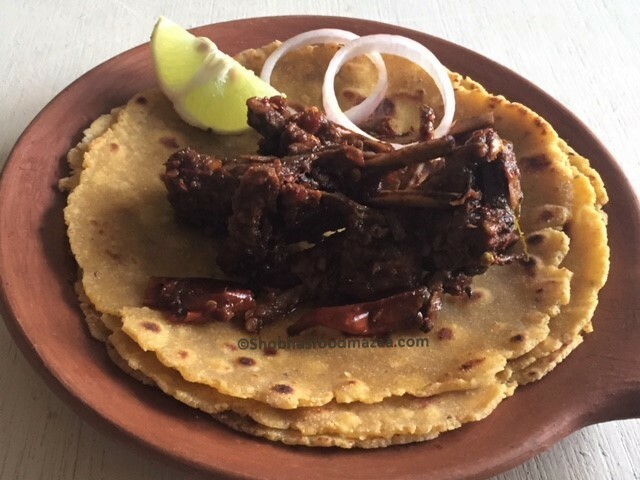 It was cooked with the meat of any animal that they hunted, hence the name "Junglee Maas" . 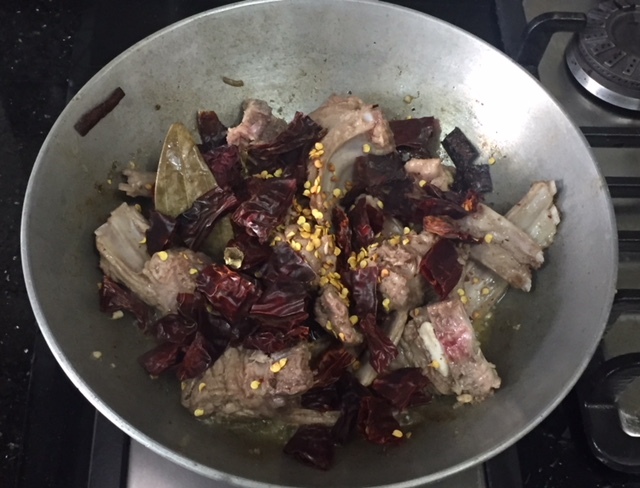 As they could not carry any stuff with them they would make use of dry red chillies and salt to flavour the dish. At the most a spoonful of pickle was added if available. It was just prepared with four ingredients, meat, red chillies, salt and ghee. 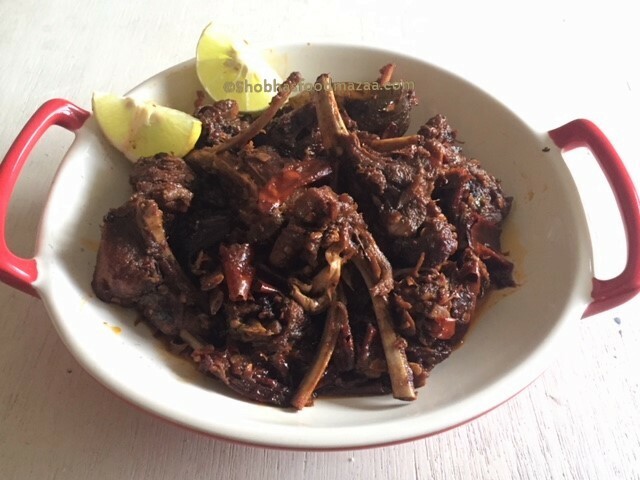 These days it is prepared with goat meat and people have started adding many spices and other ingredients to it. I have prepared it with few whole spices for flavouring and Mathania Chillies, the very famous variety from Rajasthan. They give out a lovely colour but are not too strong. 1. Heat ghee and add the whole spices. 2. When they give out an aroma add the cleaned mutton pieces. 3. Saute for few minutes. 4. Tip in the broken red chillies and saute adding a little water. 5. Add salt and pickle masala when the meat is three-fourths done. Use any spicy pickle available at home. 6. Continue the process of adding a little water and sauteeing until the mutton is soft. 7. Cook until it is nicely fried and dry. It takes about one hour. Yes dear.. it was really good. Woow nice recipe.. my mouth is watering..few days back I made Rajasthan laal maas.. I love that one too.. spicy dishes from Rajasthan. Sounds delicious and tempting. Loved the name of the dish! Something new to me. This looks lip-smackingly delicious. Thanks for the recipe. Do try it sometime Sujata..
You are making me wish I could cook meat. This is so yummy. 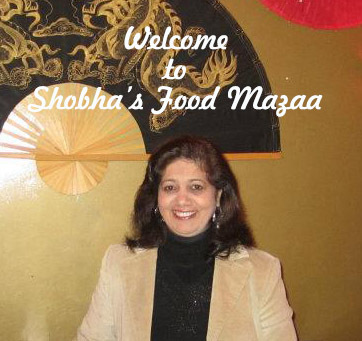 Nice history behind the origin of the dish, Shobha. Its enlightening to how a dish originates. The name is so intriguing..this is really interesting and easy recipe. A simple and unique recipe. Looks perfect. My mouth is just watering here, omg, this junglee maas is definitely a real torture for meat lovers, too tempting. Thanks for liking Priya.. must try it. Me too.. I just love spicy Rajasthani dishes. I have heard only good things about this recipe and looks like you have nailed it! The colour definitely looks rich and royal! 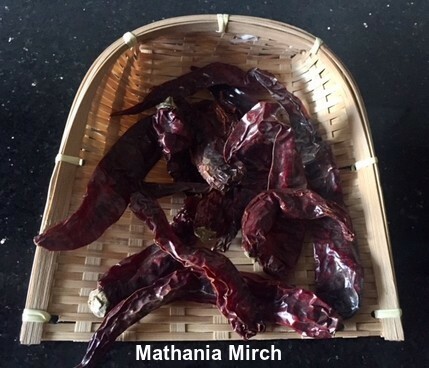 Mathania mirchi is something I recently purchased from Natures basket and will be trying few veg recipes with it shortly. Rajasthani cuisine is known for this particular dish. Thanks Vidya.. I also purchased from there .. but I feel the ones from Rajasthan have a rich red colour whereas these are a bit pale. Lovely flavourful and meaty recipe, sometimes with very less ingredients best dishes are Mädel, . A detailed well explained post is here. It is easy to follow though not for me. I never heard this name. It will be feast for meat eaters. Being a spice lover, I find Rajasthani food very fascinating and often cook laal maas for dinner parties at our place. The simplicity of this particular recipe is it's beauty and has totally won me over. Definitely a recipe to treasure. Appreciate the step by step capture, but not for me. Thanks for the appreciative words. I have heard al ot about Rajasthani laal mass it must be a bliss for meat lovers. Do make it and share the feedback. Hi, I am intrigued. Can you use venison instead? And, please tell me what is in the "pickle masala." You can use any kind of meat.. Pickle masala has all the spices dry roasted and ground coarsely.